Are you looking for an Intake and Output Chart? 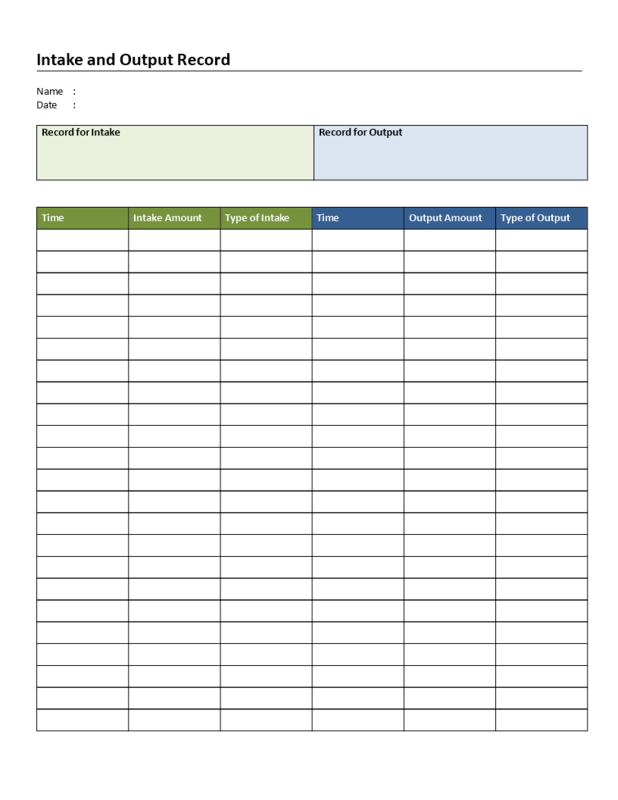 Download this Intake and Output Record template now! We provide a template that will enable you to keep a record of the intake amount and output amount. You can record several kinds of units, depending on the situation. This Intake and Output T-Chart template has been saved as a .doc for your convenience. To download this Intake and Output Chart template, simply use right-click on your mouse, when scrolling over the image of the Intake and Output Chart template of your choice and press “Save Link As…” to save the file to your computer. This, and other T-Chart templates, are blank and have space in between the lines for writing. Download this T-Chart template now! Or check out our topic here: T-Chart Templates! If you like this intake and Output Chart template, PIN this image your Pinterest page as a reminder where you found these T-chart templates! Using this Intake and Output Chart template will save you time, cost and efforts and helps you to finish your task quicker! Do you need free printable T Chart and T Table templates to make a comparison? Find here several T Chart templates in different extensions here all free to download!